We all know the value of a pair of good – quality headphones long before any one of us became musicians. Choosing the best out of the so many options could turn out to be an intriguing task. You can certify something as “the best” after doing a lot of research and considering various factors. This article is aimed to help you find the best studio headphones under $50 (price is based when the article is published). As far as studio headphones are concerned, you might face the difficult task of choosing either closed-back headphones or open-back headphones. 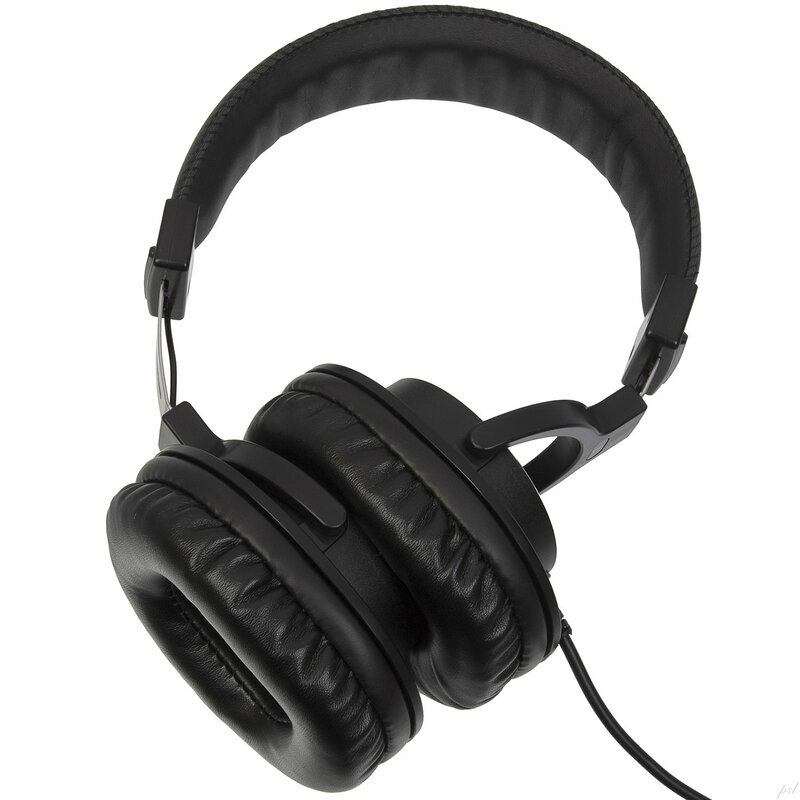 The design of the headphones is carefully made with the specific requirements related to your recordings & mixes. 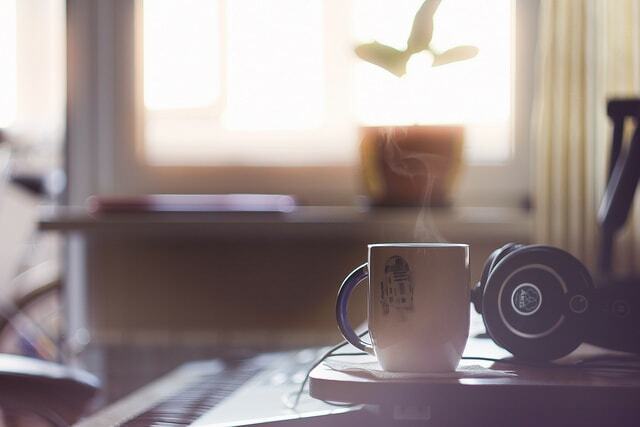 Some of the key factors to be considered before buying the studio headphones are the manufacturing quality, overall appearance, and the perfect ergonomics. You might also consider going through the customer reviews before deciding to buy a particular pair of headphones. So, take your time. + TYPE OF EAR – CUPS: The design of the ear – cup is an important factor before choosing to buy the best cheap studio headphones. Ear – cups provide effective sound isolation. Therefore, they must be considered. The positives and negatives of the above – mentioned headphones are listed below. You might consider going through these before deciding to buy the best studio headphones below $50. The LyxPro HAS-10 is a closed back over-ear professional studio monitor and mixing headphone aim to provide professionals with comfortable, reliable and affordable pro audio equipment for their monitoring and mixing applications. A headphone with closed-back design serves to seal in the sound to nearly no bleed and this is what you can expect from LyxPro HAS-10 headphones while letting you feel natural sound with an assurance of quality. Slip on the LyxPro HAS-10 and you will discover various useful advantage of the gear making it perfect for recording and mixing even for everyday music listening. When you plug the LyxPro HAS-10 in at the studio, on the DJ stand or anywhere else you want to be on with your music, you could hear the difference. With the newest 45mm neodymium drivers, you can have a wide dynamic range with a number of smart features that come together to provide a true and balanced sound. It also has the powerful magnet system that offers instant dynamic response for crisp-sounding vocals. Other impressive specs of the headphone include sensitivity, high-frequency response and a pleasurable comfort due to its leather-stitched headband with a foam and leather ear pads. It is an extremely lightweight package with a skeletal construction of stainless steel for long term durability. Due to the impressive specs of the headphone, users can crank up the volume with no distortion. With its personalized fit, rotatable ear cups, you can use the gear for a single-ear listening. Users can get this beautiful music equipment with a 3-meter cable featuring a single-sided connection to eliminate wire tangling so it can be use with a high level of comfort. This is the reason why most customers consider LyxPro HAS-10 to be really fantastic. The Samson SR850 is a professional studio reference headphone whose goal is to provide comfort and precise headphone monitoring. If offers outstanding listening solution for musicians, sound engineers and many other music enthusiast. With solid bass response as well as ultra-clear highs and over-ear design, you rest assured that you can have a complete comfort and accurate headphone monitoring. This professional studio reference headphone is made with an open-ear design for maximum isolation. It uses 50mm drivers for exceptional reproduction and wide dynamic range. When it comes to the headband, this headphone has self-adjusting one for a secure and more comfortable fit. The headphone is packed with a gold plated adapter. 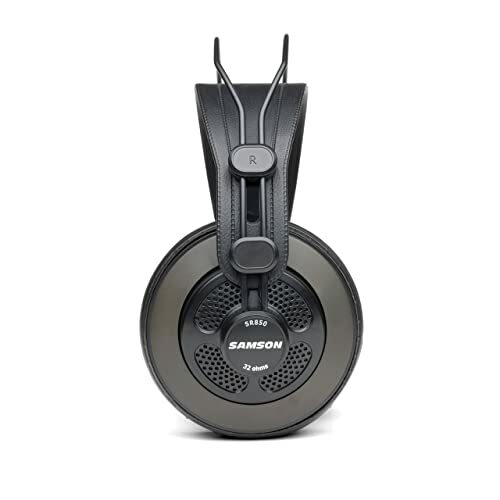 The Samson SR850 provides total comfort, exceptional sound reproduction and outstanding sound quality. Whether you love listening to music or you love mixing studio track more, Samson SR850 is willing to give you professional performance and coziness. The Samson SR850 is a semi-open back studio headphone which is capable of making a difference in hearing. 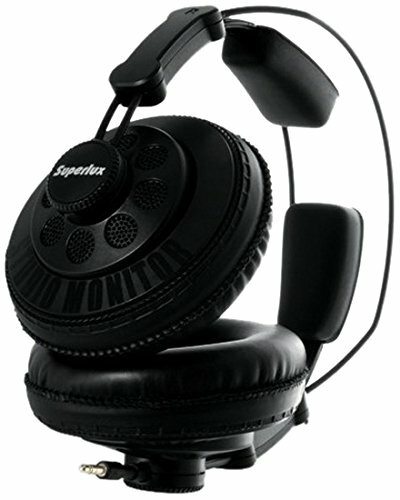 This headphone is truly great for monitoring or recording while providing you exceptional comfort. This is why most users called it fantastic. Aside from the sound quality, it is also an excellent gear with a very reasonable price. The Superlux HD668B is a dynamic semi-open headphone. It offers sound quality that meets the demand of many different users even the needs of professional recording studios. It has a patented sturdy construction that provides long lasting durability even in the most challenging situations. This headphone also has lightweight headband and optimized mechanical pressure to give users an exceptional long-term wearing comfort. If you are looking for highly affordable headphone yet very high in quality at the same time, consider getting Superlux HD668B headphone. It produces natural, spatial and accurate sound with silvery clear cymbals. The trebles are pleasantly natural and the bass is deeply balanced and contoured. With unobtrusive, natural strings you would never look for more. This is the right headphone for all types of music. Aside from price consideration, having a headphone that gives exceedingly authentic voice reproduction is an essential factor for the customer’s needs. This is the reason why most users either audio professionals or simply those normal music listeners took the liberty of getting Superlux HD668B headphone. There are not really bad comments about the gear and most of them feel satisfied about the product. 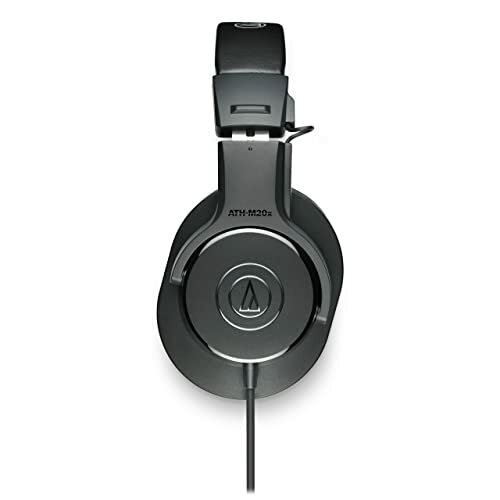 The ATH-M20x of Audio Technica is an over-ear professional studio monitor headphone. It was designed to bring accurate audio and outstanding comfort making it perfect for longer hours of use and travelling as well. With enhanced audio and effective isolation, this critically acclaimed M-series professional monitor headphone delivers a comfortable listening experience. The modern design and high-quality materials are being combined to give users the best headphone experience as possible. Audio-Technica ATH-M20x built with advanced quality and engineering. The drivers are packed with rare earth magnets and copper-clad aluminum wire voice coils to get the job done very well. This headphone is perfectly tuned to enhance the low-frequency performance. It was built with circumaural design contours around the ears for great sound isolation even if you are going to use them in loud environments. With convenient single-sided cable exit, it is a perfect tool for audio tracking and mixing. Aside from its budget-friendly value, it also sounds good for the price. The looks and construction are very nice and it helps protect the hearing while letting you enjoy music listening. This headphone can truly be a great headphone for DJs and any other audio listeners. The Edifier H840 is an audiophile over-the-ear headphone with hi-fi over-ear noise-isolating audiophile. It is the incredibly low priced entry-level stereo headphones which are made to provide the most life-like audio quality. This headphone is the product of the world’s second largest consumer audio manufacturer namely Edifier who has incorporated similar technology and design concept into their finest earphones and headphones to make the best sound possible. Everyone can buy with confidence from the world’s second largest manufacturer and experience the superb studio monitor sound quality made within your means. The Edifier H840 Studio Monitoring Stereo Headphone is featured with a simple, classic yet elegant style as well as exquisite materials and delicate workmanship to provide you with all the comfort you need. 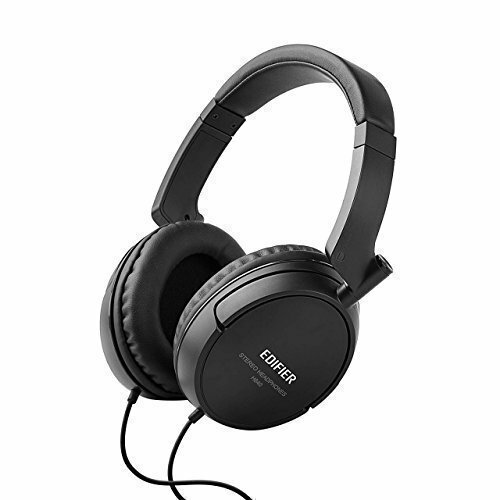 Headphones like this are made with around-the-ear closed back design which strengthens the effect of its noise-isolating features and make sure that users can get a truly pure and clean sound. Aside from giving all out comfort and gorgeous style, the Edifier H840 also offers a rich sound and prominent bass together with an affordable price, extreme durability and very lightweight construction. What customers have love the most from the Edifier H840 Studio Monitoring Stereo Headphones is that they have the ability to do a good job for noise reducing aside from the exceptional features and advantages mentioned above. This headphone also offers a clean response with deep bass making the listening really natural and precise. There are no really bad reviews for Edifier H840 headphones because users find the gear to be really a good value for the price. The JVC HARX700 full-size headphones are packed with precision sound and deep bass sound reproduction. It has 50mm neodymium driver unit and ring port structure with pressure dispersion mesh head pad for comfy long time listening. This headphone has circumaural form factor with wired connectivity technology and has stereo sound output. This headphone offers noise canceling feature to fully eliminate background sound. With deep bass sound reproduction and ring port structure, you can have high-quality dynamic sound for your everyday headphone use. 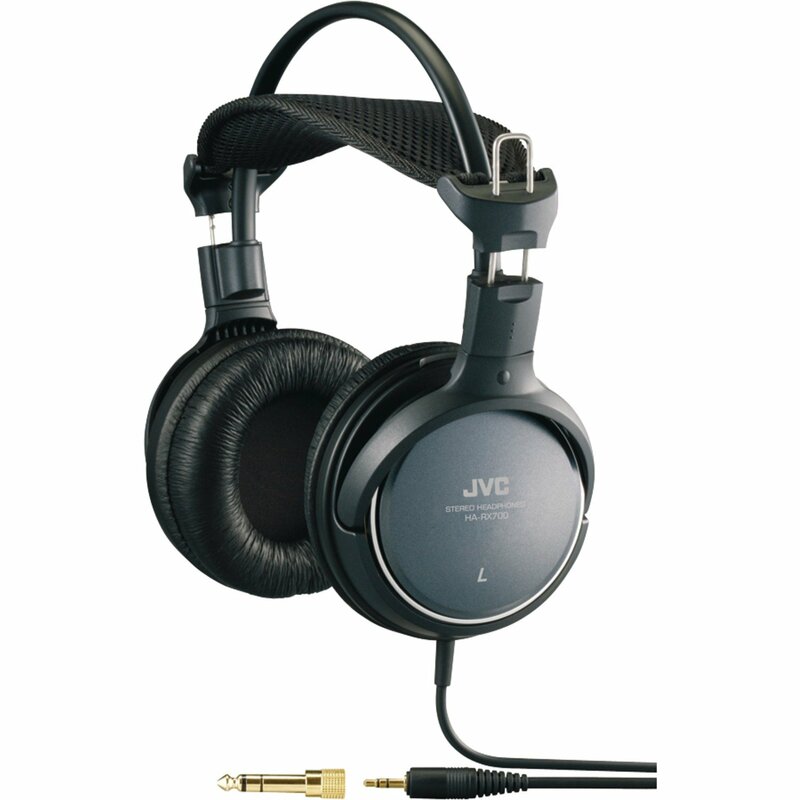 The JVC HARX700 also offers 6.3mm plug adapter and 3.5m cord with gold-plated plug along with. The JVC HARX700 full-size headphones also have 48 ohm impedance in an over-ear design. Noise-canceling headphones like this receive a number of five stars from customers. This is the full-sized headphones with also full sound and very astonishing for the price. The JVC HARX700 full-size headphones can able to compete with a wide variety of higher-priced phones while offering comfort for long stretches. With the simple yet functional and durable design, you will not be looking for anything else. Some of the best studio headphones under $50 promptly presented above together with the real online customer reviews. To get the desired result and experience the greatness of the headphones, we highly recommend you to purchase one.